Saturday, 30 March 2019, 3:33p.m. 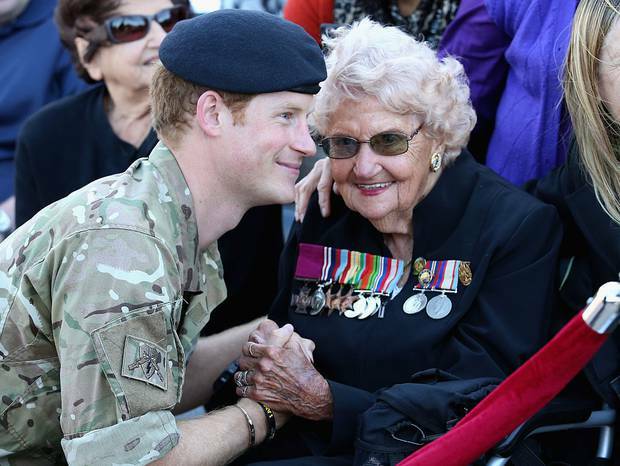 War widow Daphne Dunne is definitely Prince Harry's favourite Aussie. But just in case there was any doubt, the Duke of Sussex penned a touching letter to Ms Dunne on her 99th birthday that says it all. "Dear Daphne, my wife and I send our warmest wishes to you on the occasion of your 99th birthday on Friday," the royal wrote to his well-known devotee. "We hope you have a wonderful celebration surrounded by family and friends and that you've managed to escape hospital. Congratulations on reaching this important and impressive milestone before your centenary year next year. "Happy Birthday Daphne. Best wishes, Harry and Meghan, the Duke and Duchess of Sussex." While Ms Dunne unfortunately spent her 99th birthday battling pneumonia in hospital, her daughter Michelle Haywood, told the Today Show that the Prince's letter has really lifted her mother's spirits. "Meghan and Harry have gotten mum through this terrible illness she's had. She's still very unwell and I think, you know, if anything, the card they sent means so much," Ms Haywood said. "I think it will be the thing that gets her through. 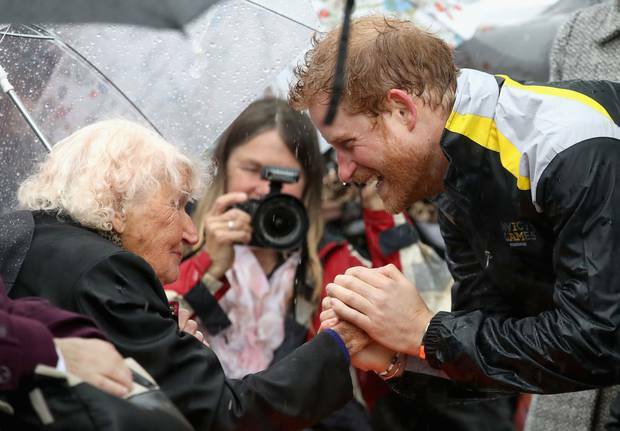 Ms Dunne was out in force to greet Prince Harry on each of his visits to Australia — first in 2015 and again in 2017. 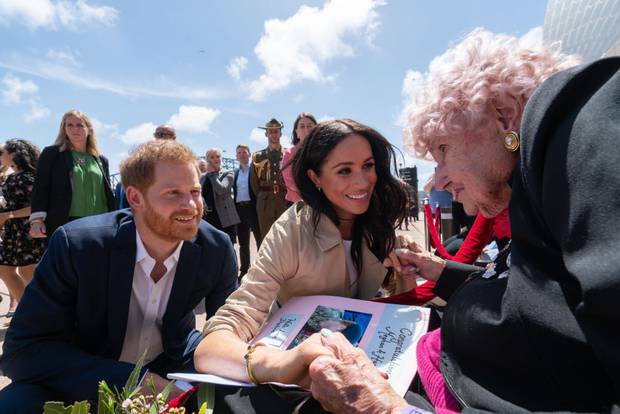 When the Duke of Sussex made his royal visit Down Under with wife Meghan Markle last year, Harry was sure to introduce the pair. According to Ms Dunne, Meghan told her: "I'm so happy to finally meet you, I've heard so much about you." After a brief chat, the Duchess apparently told Ms Dunne: "Hopefully the next time we see you we'll have our little one with us."